Winter is going to be a cracker this year, I’m already almost in full arctic gear after suffering from the flu for the last two weeks. Note to self try to pack in loads of vitamin C before the cold hits next year. Anyhoo, I need to share my winter must have. Fingerless gloves! Say what, these my friends are what they sound like, no more will you be stuck with awkward glove fingers with leave your fingers as useful as a pork sausage. You’ll be free to do plenty. These are a lifesaver if you’re like me and sit behind a computer all day long. You wouldn’t think that having half of your hand covered would make that much of a difference to your body warmth but trust me it does. My hands are generally cold, but this helps a ton and the extra long arm bit makes things that much more toasty. 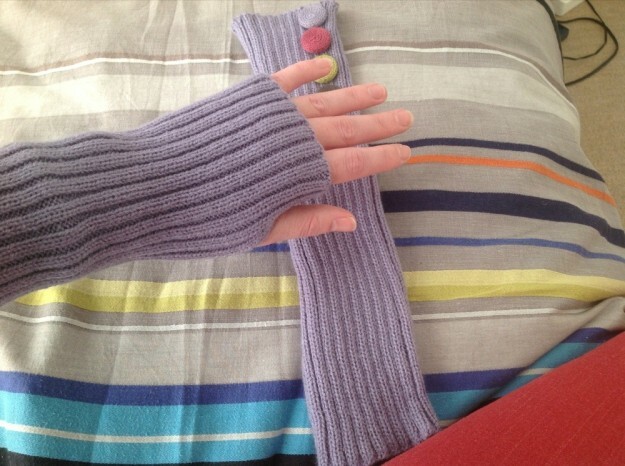 This entry was posted in Luv and tagged clothes, fun, the wam, winter.